Who was Bob Hoffman and what is the history of the Hoffman Process? Renowned for his intuitive capacities, Bob Hoffman was a gifted and generous man dedicated to awakening people to the awesome power of love that dwells within each of us. He believed that unconditional love is the birthright of every human being. In 1967, Bob Hoffman gained his basic insight into the nature of early childhood conditioning and the mechanism by which that conditioning passed from one generation to the next. For the next five years he collaborated with psychotherapists and psychiatrists to help individuals on a one-to-one basis. In 1972 he and noted psychiatrist Claudio Naranjo, MD began presenting Hoffman’s method in a group setting. Called the “Fischer-Hoffman Process” in honor of the late Siegfried Fischer, MD. Over the next 12 years the Fisher-Hoffman Process gained a reputation for producing deep and lasting results. In 1976 he authored “Getting Divorced from Mother and Dad”, published by E. P. Dutton and Co., Inc. It was later republished under the title No One is to Blame, Freedom from Compulsive Self-Defeating Behavior. In 2003 this was updated to ‘You Can Change Your Life’ – A Future Different from Your Past with the Hoffman Process. Tim Laurence, founder of the Hoffman Institute UK, trained and worked extensively with Bob Hoffman. This is the first book to detail the practical methods of the eight day intensive course, and is packed with inspiring personal stories and more, and is available at the Hoffman Centre. 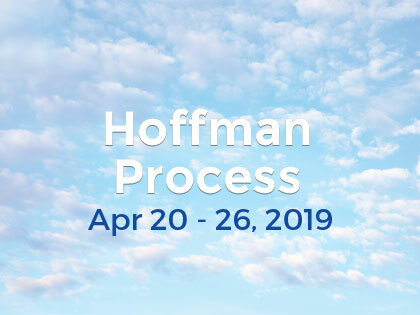 In 1985 Hoffman reformatted his program into an 8-day residential intensive, renamed it the Hoffman Quadrinity Process, and then initiated an eight-year period of inspired development and refinement. Over the next eight years, about 30% new material was added until the present form was achieved in 1993. Today the Hoffman Quadrinity Process is presented in twelve countries to some 5000 participants each year. Mr. Hoffman retired from teaching the Process in 1991. He remained active in his work until his death in 1997.